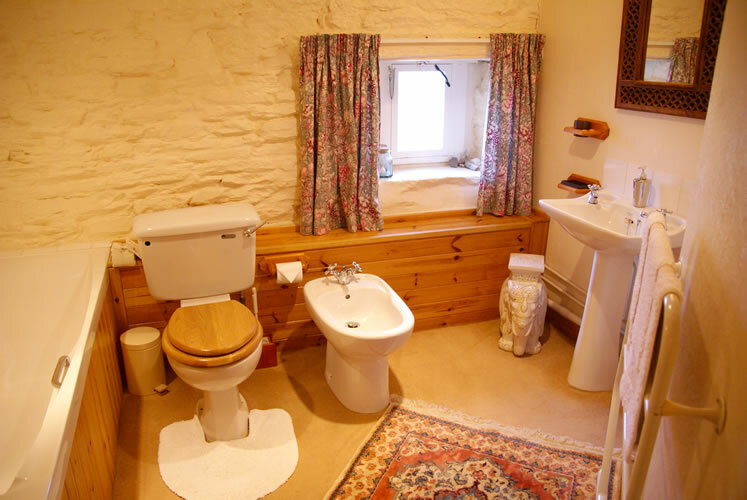 Type: Double, with an ensuite shower room and toilet. Type: Double / Twin, with an ensuite shower room and toilet. Type: Double / Single, with a private bathroom. Type: Suite, comprising 1 double room with lounge, 1 double / twin room, and a private bathroom. Sleeping up to 2 persons, the Master Bedroom Mill Burn has a king-sized four poster bed and an ensuite shower room and toilet. 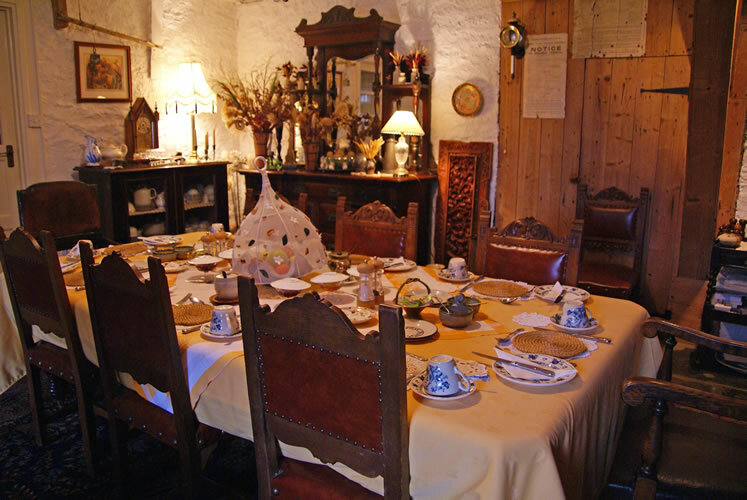 The Gear Room is the dining hall and is situated opposite the front hall on the ground floor. 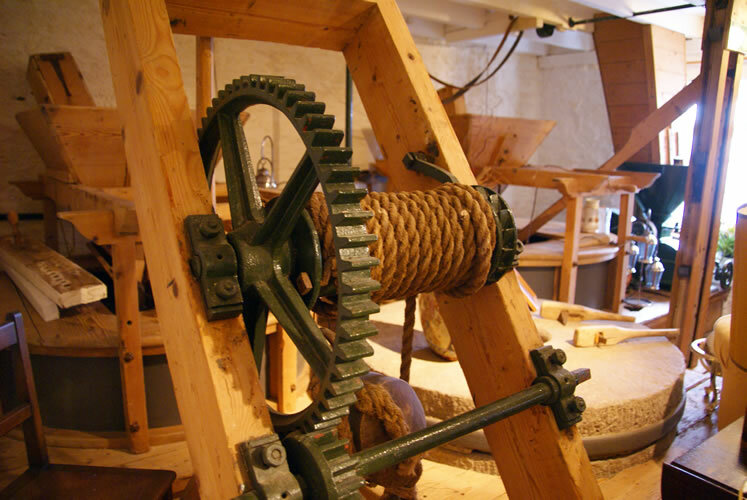 The gears of the mill are in open view and it has an original flag stone floor. 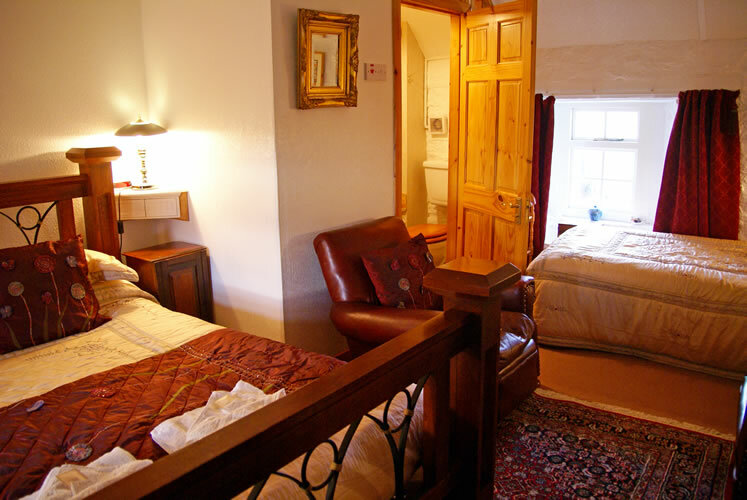 Sleeping up to 3 persons, the Malting Floor has an ensuite shower room and toilet. There is a king-sized bed and a single bed. . The two bedrooms of the Hopper Suite share a bathroom fitted with a bath and separate shower which is entered off the private corridor. 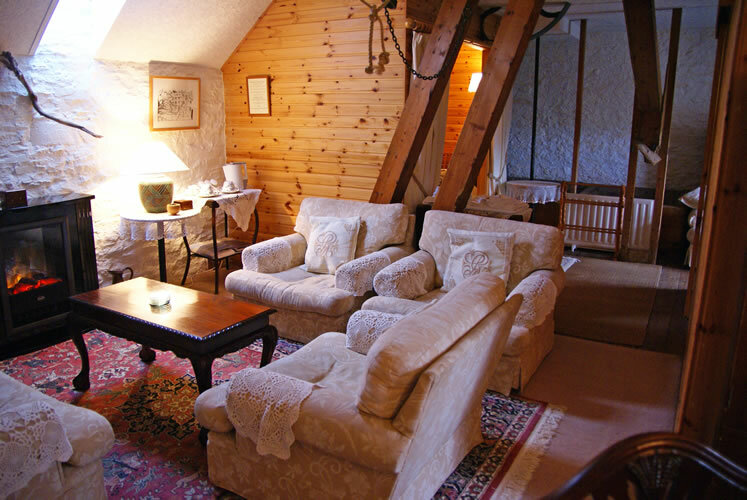 The Hopper Suite enjoys beautiful views over the mill yard across the Bay of Ireland towards the island of Hoy. 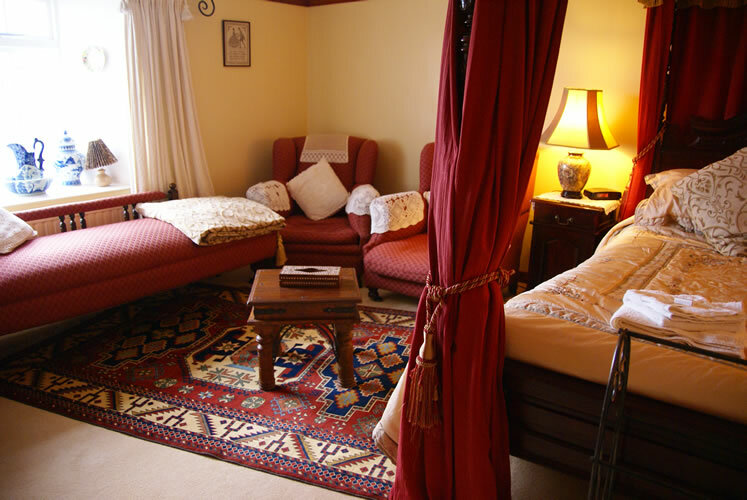 This suite provides spacious private accommodation. The Stone Room is the guest lounge where three grinding stones are still in situation. Copyright 2010, Mill of Eyrland. All rights reserved.